Southampton will be looking to build on their 1-0 win at Crystal Palace last weekend when they host Manchester United on Saturday. The Saints have had a slow start to life under Mauricio Pellegrino having failed to score in three of their opening five Premier League fixtures. We head to the South coast after thrashing Burton Albion in the EFL Cup midweek whilst the hosts have had additional time to prepare for this game having not been in action since their win last Saturday lunchtime. The 6’7″ goalkeeper has kept clean sheets in three of his first five games this season but Southampton’s previous opponents all currently sit in the bottom half. Fraser Forster can expect to be in for a busy game at St Mary’s. The Euro 2016 winner likes to get forward from the right-back role but Marcus Rashford could pin the Portuguese inside his own half this weekend. How much help Cedric Soares gets from the winger in front of him remains to be seen. A late introduction at Selhurst Park a week ago, Virgil van Dijk has been preparing all week for his first start of the season. The Dutch international suffered a serious injury at the start of the year and was forced to train on his own after handing in a transfer request over the summer. 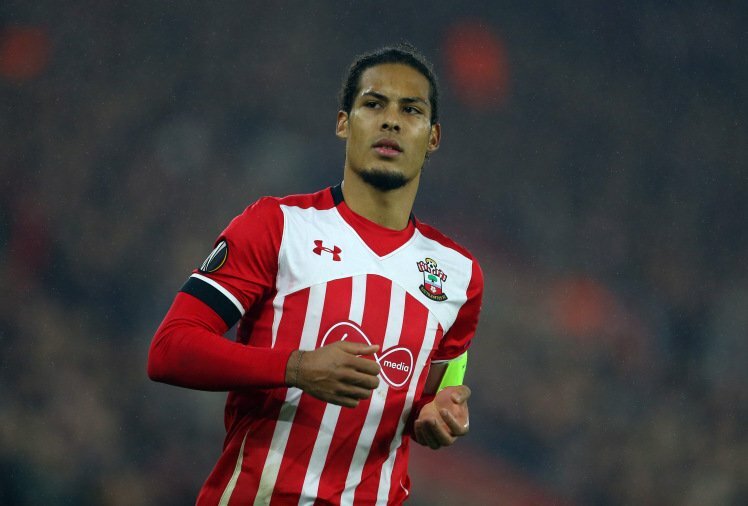 Van Dijk will now be looking to impressive in the Premier League this season, probably with an agreement in place that he can leave the club next summer. Expecting a Dutch centre-back partnership on Saturday with Maya Yoshida dropping to the bench. Wesley Hoedt joined from Lazio in the summer after two successful seasons in Serie A. He made his international debut earlier in the year and has the unenviable task of handling Romelu Lukaku this weekend. The pacey left-back will be looking to get forward to cause Antonio Valencia some problems. Southampton have averaged more than 55% possession this season and a figure anywhere close to that on Saturday will see Ryan Bertrand venturing forward. The left-back has to be careful of Juan Mata cutting inside. Oriol Romeu is a staple in the Saints’ midfield these days. He’ll be one of three central midfielders looking to cut off the supply to Henrikh Mkhitaryan and our attack. The summer arrival from Juventus has worked his way into Mauricio Pellegrino’s starting lineup in recent weeks. The Gabon international is energetic in breaking up the play of the opposition. Dusan Tadic had a quiet season by his standards under Claude Puel in 2016-17 but the Serbian has started four of Southampton’s five games this season as he looks to help Southampton in their Premier League cause. Starting down the right wing he likes to cut inside onto his lethal left foot. Given the space that Ashley Young allowed Cuco Martina last weekend, Tadic could be the hosts’ best attacking threat. He’ll switch wings with Nathan Redmond from time to time too. The Northern Irishman was gifted a rare goal by Crystal Palace goalkeeper Wayne Hennessey in what turned out to be the winner at Selhurst Park last weekend. Steven Davis’ role will be more defensive than attacking this weekend. Doesn’t get among the goals and assists as much as many people expect of the pacey winger who has been around for a while now. Nathan Redmond can always offer a threat though. Antonio Valencia should be in for a busy afternoon and needs to be weary of the counter-attacks in particular. Manolo Gabbiadini arrived at St Mary’s at the end of the January transfer window and was an instant hit, even scoring twice versus us in the EFL Cup final. However, injury ruled him out for several months and he’s only scored once at the start of the new season. There hasn’t been much supply for the Italian to work from.